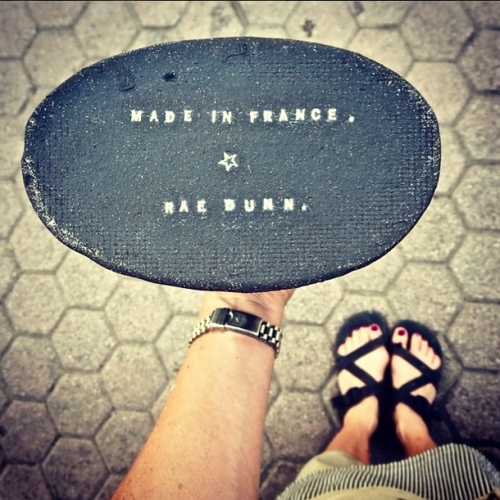 made in france part deux. the 2nd opening for my show MADE IN FRANCE is tomorrow night (thursday) from 6-8. i promise there will be parking this time without the art murmur going on . . . come on by ! the doors are OPEN . 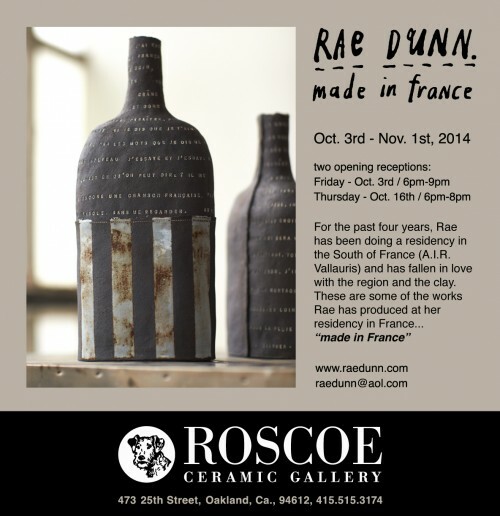 . .
tonight is the opening of my show MADE IN FRANCE at roscoe ceramic gallery. it will be a beautiful night for the art murmur and a french soirée. come have a glass of rosé with me ! 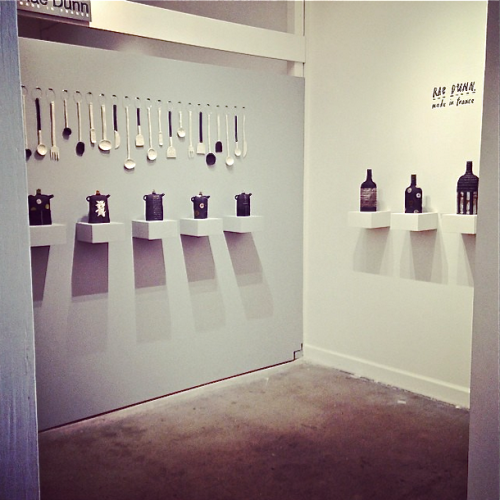 here is a sneak peek of my show MADE IN FRANCE that opens this friday night at ROSCOE CERAMIC GALLERY. it actually feels a lot like the show i had in the south of france this summer ! this is some of the work that will be at my upcoming show. 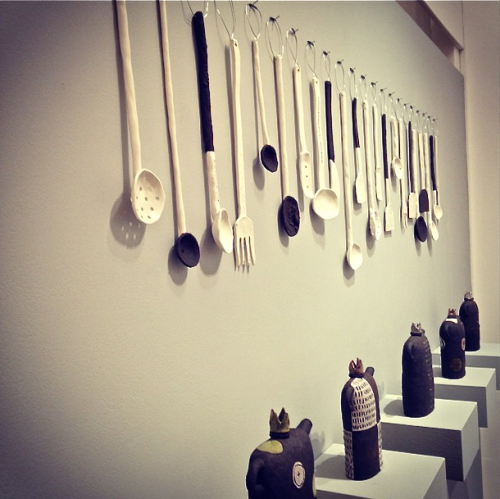 my little army is marching over to roscoe ceramic gallery. i love seeing the whole “family” together . . . my babies, by children, my tribe ! 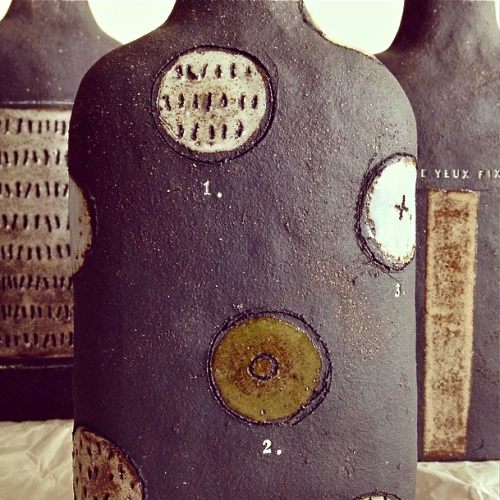 i’m packing up my work to set up my show tomorrow at ROSCOE CERAMIC GALLERY. it’s nice to see all the work together that i’ve made in the past four years. i’m going to have a hard time parting with many of them. i feel really attached to a lot of this work, especially since i hand carried them all back from france ! 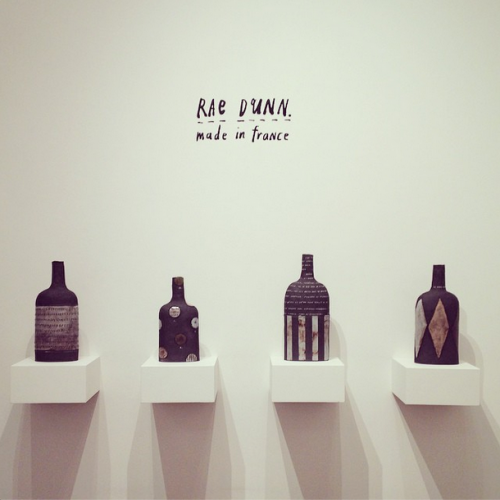 the opening for my show “made in france” is next friday october 3rd. please join me at the reception at ROSCOE CERAMIC GALLERY from 6:00 – 9:00. it will be a rare opportunity to purchase the work that i actually made in france . . . and it falls on the night of the oakland art murmur (so it should be a very lively night) ! 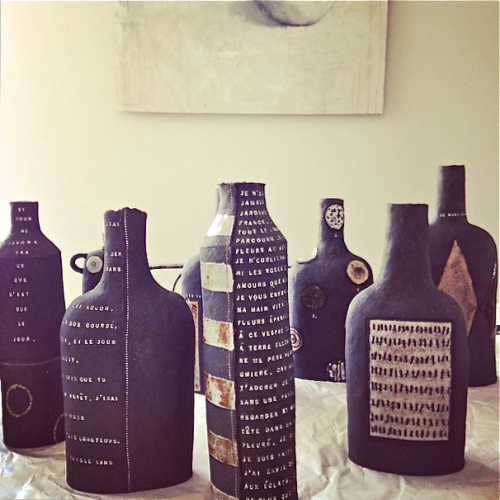 in october i am having a solo show at ROSCOE ceramic gallery in oakland, california. 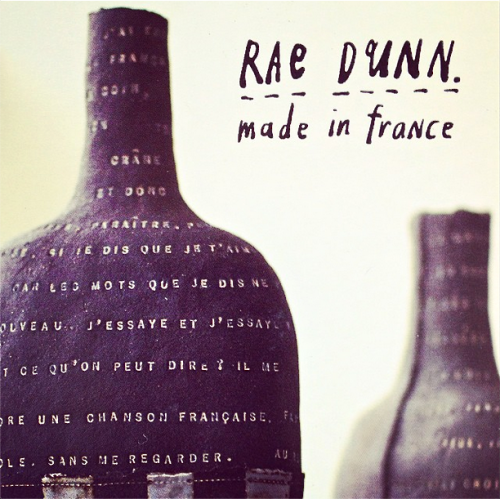 my show will be called MADE IN FRANCE and will showcase works i have made in france over the past four years. stay tuned for more details . 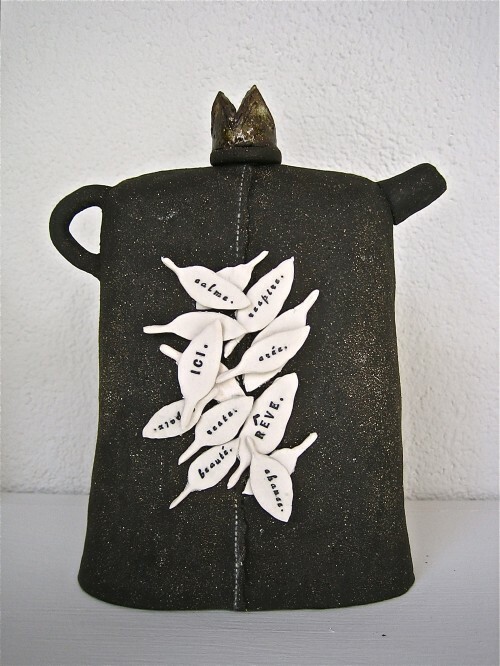 . .
i made this teapot in france last year. it was inspired by the beautiful foliage in the south of france (one of my favorite places on earth). a gentleman, who lives in germany, saw this teapot, and asked if i would make and sell him just the leaves . 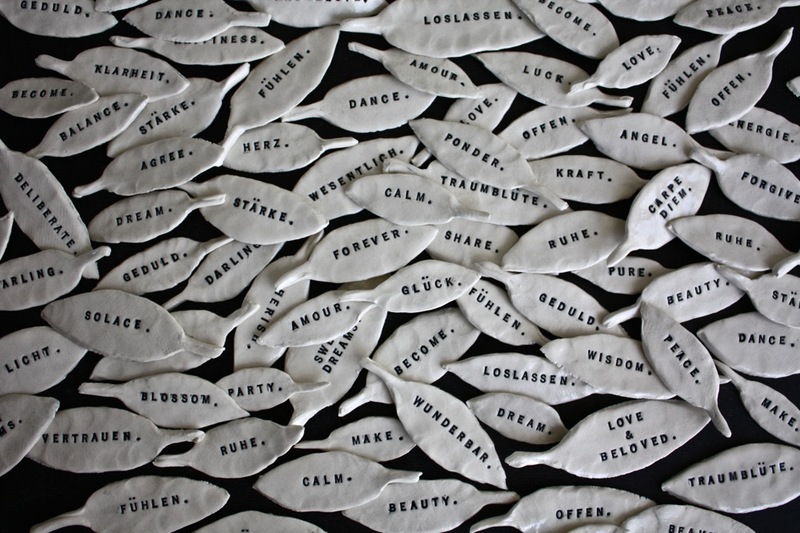 . .
here are some of the 300 porcelain leaves i made for his equisite jewelry store in munich, germany. it was actually very meditative making each leaf by hand. i will definitely be adding these to my clay repertoire. i just love how some things evolve. 3 teapots that i made in france will be on display at the EMERYVILLE ART EXHIBITION. the opening night party is THIS friday from 6pm-9pm. come by for some good food, live music and a LOT of art . . .